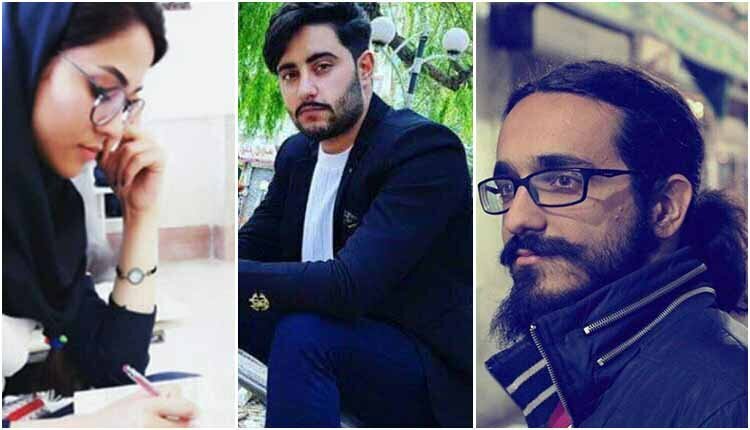 Iranian students arrested during the widespread December/January protests earlier this year have been sentenced to prison terms. The Appeals Court in Tabriz, northwest Iran, on July 10 upheld a two-year sentence against Roya Saghiri and a six-month prison term for Ali Ghadiri. A three-months prison was also upheld by the Appeals Court against Ali Kamrani, a student of English Literature at Tabriz University. Earlier in March 2018, Leila Hosseinzadeh, a student of anthropology at Tehran University, was sentenced to six years’ imprisonment. Mohsen Haghshenas, a Tehran University theater student, was sentenced to two years’ incarceration and Sina Rabeiei, a social sciences student at Tehran University, was sentenced to a year in prison and a two-year ban on leaving the country. A sociology graduate student of Allameh Tabataba’i University in Tehran, Fereshteh Tousi, who was detained for giving a speech on Student Day 2016 was also sentenced to one and half years of prison and a two-year travel ban by a court of first instance. The charge brought against the student was “propaganda against the regime” through attending a ceremony marking Students Day on December, 6, 2016, that was licensed from the university. Parvaneh Salahshouri, the head of the so-called women’s faction, in the regime’s parliament has recently admitted that the number of students being prosecuted for attending December 2017/January 2018 protests is much higher than earlier estimates. “A list has been put together of the students detained in the December 2017 incidents and they number more than 150,” said Parvaneh Salahshouri in an interview with the state-run ILNA news agency on July 10, 2018.